Horror-fantasy television shows have a paradoxical relationship with their depictions of small towns. On the one hand, the type of local myths and legends that are frequently a focus of small towns in stories are the currency of these shows, allowing them to diverge from the usual and bust out the core storytelling chops of the series. “Home” is undeniably one of The X-Files‘s most gruesome episodes as depicted, but part of its transcendent value for that series is the true story from which it drew inspiration. On the other hand, the myths often take precedence over the depiction of the town itself, leaving the show to rely on audio-visual shorthand to keep the story moving, leading to rather lazy depictions of people and towns that are probably rich with history and traditions that have no bearing on the story itself, but would give the episode or the film a few extra shades to make it stand out. So Weird is a traveling show that has, through the power of movie magic (the show was shot primarily in Canada), been all over the United States, from big cities like Chicago to smaller towns like the Phillips hometown of Hope Springs, Colorado or the ones featured in episodes like “Listen,” “Memory,” and the recent “Banglebye.” So Weird is unusually good at small towns. It’s impossible to confuse Rhiannon, the New England town at the center of “Boo,” with any of the others, and it’s possible to replace “Rhiannon” in that sentence with the name of any of the other small towns featured on the show and the sentence would remain true. There are a few commonalities (So Weird has a fondness for rural towns and farms, as evidenced by “Listen,” “Werewolf,” and, arguably, “Simplicity”) but each town has its own set of people with their own sets of problems that aren’t always solved by Fi or Annie’s help in demystifying the supernatural elements at work. “Beeing There” continues in this grand tradition, and it is one of the highlights of the entire series, a special surprise given how late in the show’s run it occurs. Its biggest benefit involves having the whole town acting actively weird and being fully cognizant about that fact; by doing this, the show submerges the viewers and the characters in a town of a very specific color. In the case of Hiveburg, that color is honey, because if it isn’t immediately obvious from the episode’s title, the humans that populate the town are actually bees. 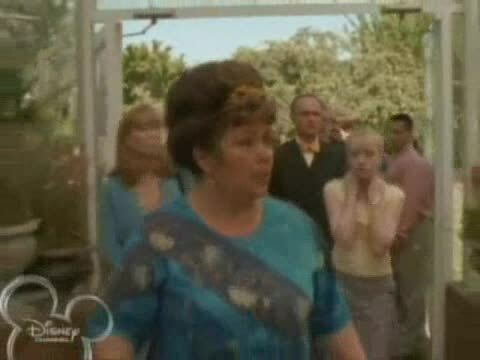 Taking a cue from magic realism, the show never explains the exact nature of this process, instead letting Annie discover the truth through the annoying buzzing sound she hears when the group first steps off the bus at Hiveburg. Hiveburg is about what one would expect from a town of people who are actually bees: it’s highly efficient and extraordinarily busy, a veritable painting of high activity. As a nod to the human terminology of bees resembling that of a medieval hierarchy, the town’s architecture is itself inspired by medieval city designs, from bridges and castle walls to the cobblestone streets where people rush along to their destinations without stopping. It would almost be relentless, but the episode launches two minor plots that ultimately converge on the deeper mystery of the town. 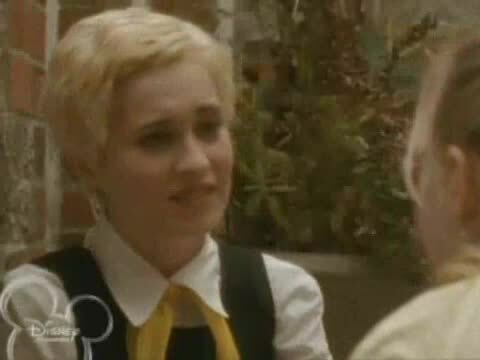 First is the bumbling foodstuffs store owner Loretta (Camille Sullivan, lately Newton of ABC’s Red Widow) who has a klutz moment in the middle of town square and is immediately helped by several dozen people in almost record time. Annie, the sympathetic listener, recognizing an outside like herself, talks to her about living a life away from home. Meanwhile, Carey gets arrested for carelessly leaving a candy bar wrapper on the ground. Bees really do not like invaders and outsiders. Molly and Annie independently wind up at the mayor’s office, at which point the deeper issues of the town come to light. There’s a bitter truth to the fact that the human-bee colony is unable to sustain its food supply when the gradual disappearance of bees worldwide is part of a larger environmental/ecological upheaveal today. Adding to the bitterness is the reason the townspeople ended up going hungry: the queen bee’s assistant, Walter J. Jelly (genre TV guest star extraordinaire Robert Thurston), was placating her with food in order to prevent her from learning the truth about her people, because Walter is enjoying the luxuries of being human far too much. It’s Annie who convinces the queen bee to pull herself away from city hall and visit the greenhouse, where Loretta (revealed to be one of her daughters) is happy that her mother has finally decided to see the disaster for herself. In the end, Walter gets his wish by being the beekeeper to his colony, all of whom return to being bees. The episode’s themes remain relevant, and the plot points all land and make sense, but despite the good qualities, this episode suffers again from the overzealous correction into lighter, happier moods for the third season. 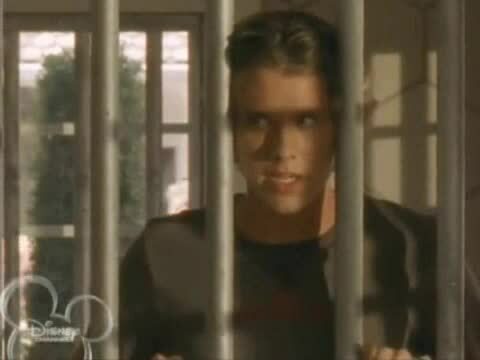 Eric Lively plays up his arrest as excessively whiny, a stark contrast to Dave Ward’s fatherly indignance at the supposed injustice of arresting someone for littering, but the episode itself cannot seem to decide if these scenes are to be played seriously or comedically, resulting in Carey’s plot (i.e. the one with stakes for the Phillips-Bell tour bus, and the one that eventually guides the gang to the queen bee) sending seriously mixed signals. “Beeing There” is definitely a highlight regardless, but it is also an indication that Annie does have value; it’s just that her rising star comes with the cost of sacrificing the family that was supposed to be the lighter heart of the show. Ironic, since the third season of So Weird was supposed to be lighter and happier than the two seasons that preceded. Talk about mixed signals. Cameron White is a freelance writer currently residing in Arkansas. He writes about television over on his blog, Wayward Television, and tweets about paradoxes. His obsession with television was founded in 1996 by The Disney Channel and fostered by his discovery of Firefly in the summer of 2007. His sentences all equal true for some degree of x.